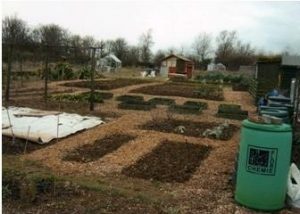 Our allotments are located on Bradwell Road, Bradville. We have a waiting list currently around 12 people. If you are interested in a plot please call the Parish Offices and you will be added to the waiting list. We have about 70 plots ranging in size, from small ones for first timers or those without a lot of time and just want to grow enough for themselves, through to large ones that keep our tenants fully occupied. We have a tenants organisation called BATS. New tenants will be given a leaflet with contact details when they join.